The neck is a coordinated network that includes a complex makeup of nerves, joints, bones, and muscles that are directed by the brain and the spinal chord. The neck is also called the cervical spine, helps the human body with stability, nerve communication, and strength. Pain in the neck one of the more common conditions that we see, and there can be several types of neck pain that one may experience. Like many other common areas of body pain, including shoulder pain, back pain, and knee pain, neck pain causes can vary based on many factors. Some people experience sharp, piercing pains in the neck, while others experience a more dull, achey type of pain. Similarly, some patients experience short-term pain while others a more long-term pain. The causes above are just a few of the more common causes of neck pain. As you can see, there are many possible reasons. It is best to see a pain specialists to get a proper diagnosis. 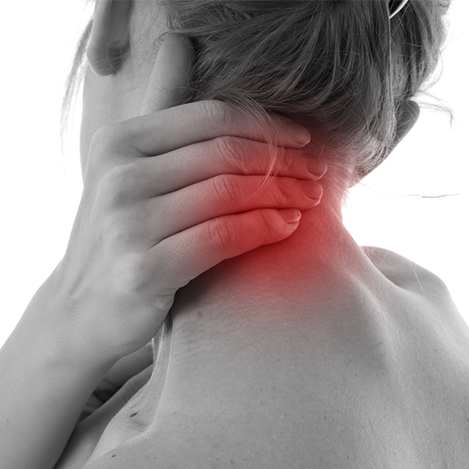 With neck pain, often times patients are able to be treated successfully with nonsurgical methods. But, like other pains, it varies on the actual cause of the pain. Many conditions, however, require similar things that can cause temporary relief, such as: rest and relaxation, ice packs, heat packs, massages, posture improvement, and over-the-counter meds. With chronic neck pain conditions, however, more advanced treatment options are the best solution. At Texas Pain Physicians, we provide a number of different treatment options that can be specifically tailored to your unique neck pain condition. This way, we can treat you specifically and have you back to feeling your best as soon as possible. If you or someone you know is suffering from neck pain in Dallas or a surrounding area, call Texas Pain Physicians at (972) 636-5727 and schedule an appointment today!